For me being disabled means a lot of things. It means I take medication every day and likely will for the rest of my life. It means I often attend several doctors and hospital appointments just in the space of a week. It means that I'm always in pain. What it shouldn't mean is that I'm treated like a second class citizen though. Being disabled does not mean I am inferior to everyone else, it doesn't mean that my rights and needs should be disregarded but sadly this world we live in has made those sad truth's a reality and a recent incident really reminded me of that. My day started off really well at first. Me and my partner were waiting on the platform at Hull station with the assistance I'd booked ready to get the train to London to stay with family. The train provider was Hull Trains and they are honestly the best company I've ever travelled with so I always start off with a positive mindset that things will go okay. They have signs in the wheelchair spaces telling people not to put their luggage and buggies in them and their staff have never forgotten about me at the destination station, I had no reason to believe that it would be a difficult journey. So, when I boarded the train and heard that they had added the following to their announcements I was even more impressed: 'If you're in carriage E please be aware not to put your luggage in the wheelchair spaces, all buggies must be folded and the staff can assist you to store them at the front or back of the train' (something along those lines). Amazing right? Sometimes it's the little things that matter and I was so happy to see that Hull Trains understood the importance of keeping the wheelchair space free, after all their staff have so often witnessed myself and other wheelchair users struggle to access the spaces due to luggage and buggies. I've also been blocked into the space by luggage so I was happy to see that they were taking as many steps as possible to improve the experience for wheelchair users. What happened next was through no fault of the incredible staff though as sadly they can't change people's attitudes. As the announcement was being made someone came on and placed their huge suitcase in the second wheelchair space, quickly followed by a woman with a large buggy. Staff were quick to act though and informed the couple that the buggy would have to be folded or moved to the front or back of the train where there was plenty of storage and staff would be happy to help them when they exit the train. She didn't like though that, even when informed that they were expecting another wheelchair user on board. The woman gave in eventually, after a lot of head shaking and comments under her breath and as offered the staff helped her as much as possible. The train was a 3 hour train after all so it seem perfectly fine for the buggy to be moved for that amount of time, once she had removed any belongings she wanted from it. She really wasn't happy though and that's when the hurtful comments began. Throughout the whole experience she seemed so surprised that a wheelchair user might actually need the wheelchair space, an area designed specifically for them. Not for luggage, not for buggies but for wheelchair users. It's literally the only place on the train that we can sit, buggies and luggage have far more options. The first comment was 'I've never had a problem on this train' as though a wheelchair user needing the space was a problem. 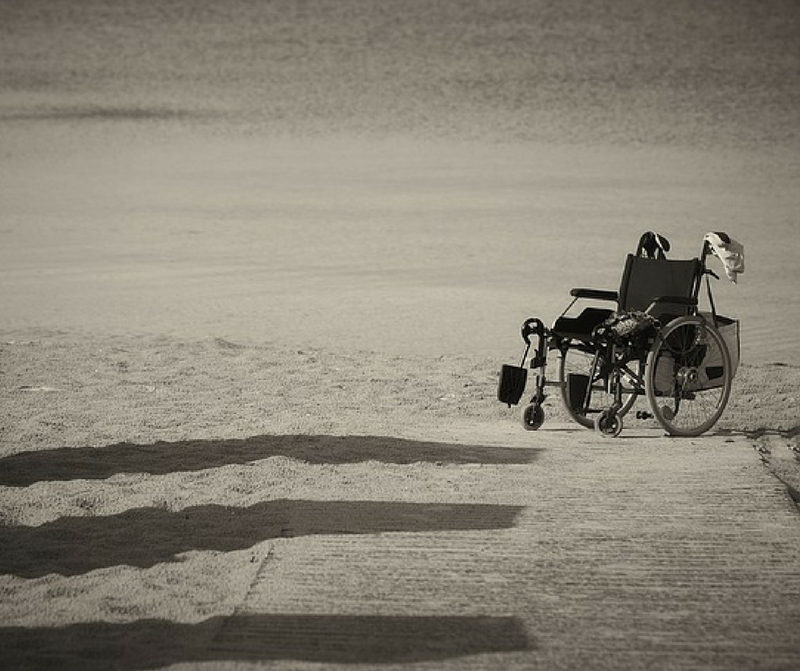 Why is it such a shock that disabled people travel? Why is it such a shock that a space clearly signposted as a wheelchair space is needed for what it's been designed for? And believe me, it's the most clearly signposted space I've come across. There plenty of stickers on the wall plus laminated pieces of paper further explaining that it isn't a luggage or buggy space. So, why would you be shocked when told to move your things? That's when she started going on about trying to get her money back for the train tickets. She literally wanted a refund because she couldn't put her buggy in the WHEELCHAIR space, I don't think I can highlight this enough throughout the post, it is specifically a wheelchair space and that was clear as day to see. By this point I was angry and raging. I often can't access the wheelchair space because of people like her but even then the idea of trying to get a refund never even crosses my mind but suddenly she wanted her money back because she couldn't put her buggy in a wheelchair space. I don't think I'd ever been so angry. Then the staring began. Every time I looked up she was staring at me and she didn't even stop when I noticed her doing it, she just continued to stare. I felt so uncomfortable and extremely unwelcome. It was clear that she felt that she had priority in the wheelchair space and that it should be a first come, first served system. I tried eating my lunch, getting on with work but all of that was made difficult by her staring at me. Every now and then she'd also shake her head, roll her eyes and try and get the person with her to engage in conversation about it. Luckily they didn't seem to have much of a problem with the buggy being moved. A few stops along the journey another woman with a buggy got on and she placed her buggy in the wheelchair space. The announcement came on again and the first woman gave her this look, a look that almost said 'it's ridiculous isn't it'. Soon enough a staff member came along and asked her to fold her buggy, which she did without much argument but then she engaged in conversation with the first woman. With me sat just 2 metres away they discussed how awful it was that they had to move their buggies for a wheelchair user. It wouldn't even matter if said wheelchair user didn't turn up at all though, those spaces should be kept clear. It's far easier to keep them clear from the beginning than to mess around, moving luggage and buggies half way through the journey when someone like myself turns up, I've often ended up waiting by the accessible toilet until they have moved everything and even then they often let me in the space and then pile the bags and everything else around me, trapping me in. I felt so uncomfortable by this point. The staff were amazing though, a total of 3 buggies came into the carriage throughout the journey and not once did the staff stop reiterating the message that they must be folded or moved, they never gave in. Eventually the first woman got off the train but before she did there was more head shaking and eye rolls. She seemed to have no shame in showing her discontent that she had to move her things for someone like myself. I could finally relax at that point, for the last 30 minutes of a 3 hour journey. The whole experience left me wondering if things will ever improve. We can put in legislation, we can put up signs but if people's attitudes don't change then what hope do we have? The incident certainly left me feeling hopeless. I just couldn't believe the things they were saying both directly and indirectly about wheelchair users when I was sitting right there, metres away. Not once did they think about my feelings or my rights. Even now I can't quite believe it happened, I knew that opinions of some parents with buggies were very much 'first come, first served' but the way they acted, even when staff were going above and beyond for them, was just disgusting and I'm sick of having to put up with it. I am so sorry that you have to put up with behaviour like this from ignorant people. 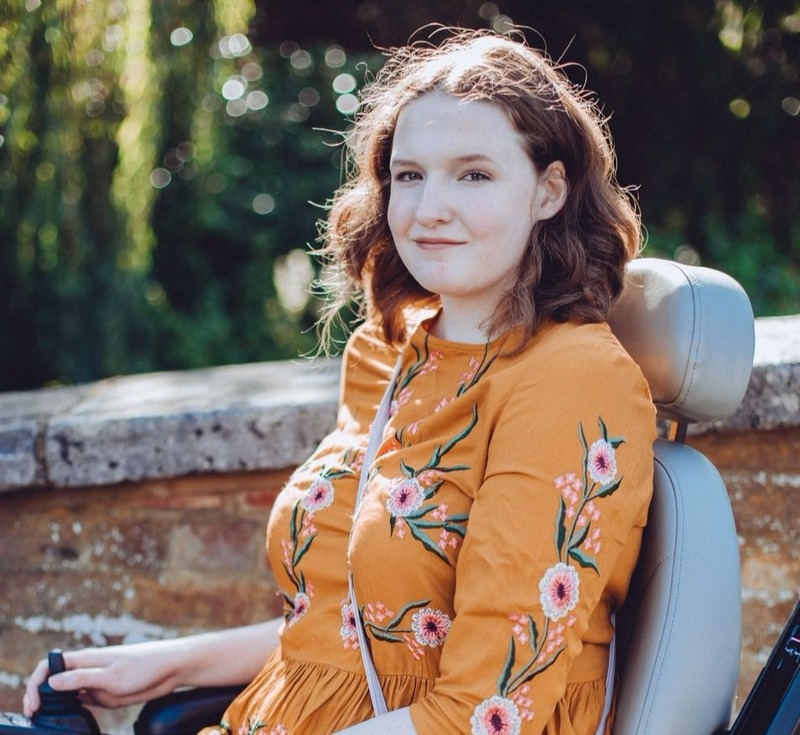 The fact that she believe that she, as a not wheelchair user, had priority over you, a wheelchair user, to occupy a wheelchair space is just baffling to me. People are so damn insensitive and entitled its untrue. On a very minor scale, I experienced an idiotic few people on trains when i had a foot injury that stopped me walking properly for 6 months - people bashed their cases into the aircast, tried to shove me further into a train carriage and further damage my foot on a crowed rush hour train. Cannot imagine how you felt on that train, those people should be ashamed of themselves. They really are, there is a big theme of entitlement when it comes to parents with buggies on public transport. People are so awful and don't seem to have any shame these days! So infuriated by this story, but it's refreshing to read about a company that actually bothers to make sure that their disabled passengers are comfortable, so well done Hull Trains. Absolutely disgusted by the attitude of the woman with the buggy though, how self-absorbed and entitled do you have to be to take offence at a policy that prioritises wheelchair users in ONE CARRIAGE OF A TRAIN?? And to then sit and intimidate a young woman and fellow paying passenger for a full two and a half hours?? Sickening. I am sorry you had to go through this ! some people just lack kindless, respect etc. well mostly they are lacking a brain ! If I would have been there I would have said something even so I do not know you! I hate injustice and idiots in life! I have a baby and when I use public transport I am always aware that someone else might need place for a wheelchair my pushair is secondary. I can ensure you I never been a person like this and never will . Some people take things for granted and lets face it they are just plain stupid and badly educated . And I am being nice! I empathise totally, I've been in that situation and it's blooming horrible. It really is horrible, I can deal with most scenarios when it comes to parents with buggies but the way she was acting was just not okay! 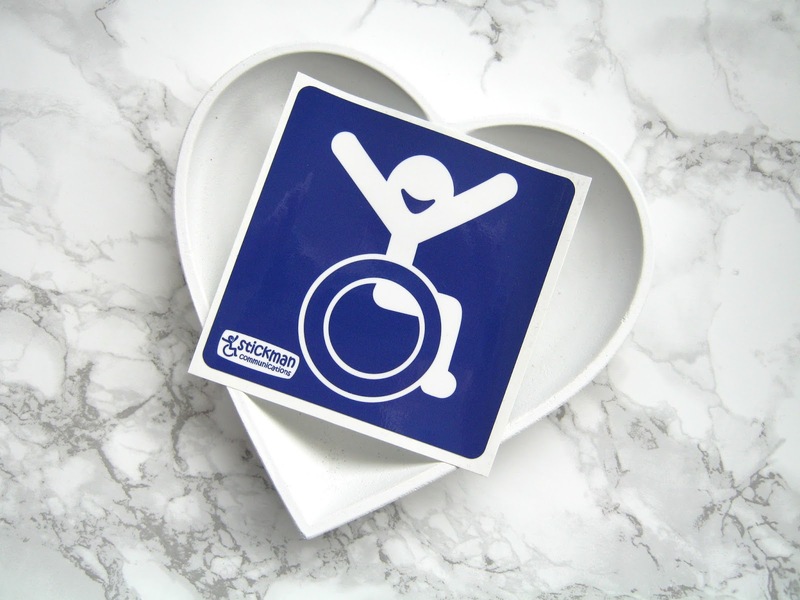 As I say to everyone, before the wheelchair space on buses and trains parents managed to get around, suddenly the wheelchair space appears and they can't seem to live without it! On a similar point, I've had experiences taking my bicycle on a train where buggy owners have refused to vacate the designated cycle space. There is absolutely no comprehension of the notion that the buggies fold down and that bicycles and wheelchairs do not. It was easier for cyclists in the days of guards' compartments, because the only thing you had to fight for space with was parcels. Unfortunately, of course, in those days the guard's compartment was the only way a wheelchair user could access a train at all. It's all in the conditions of carriage. Spaces are designated for wheelchairs and bicycles. Buggies are baggage, but nobody minds a buggy using a space that isn't needed for its intended purpose at that time - as long as the buggy owners move as soon as it's needed, especially for a wheelchair. Unfortunately I've also had experiences where bike owners have refused to move their bikes out of the wheelchair space, it doesn't happen often but sadly it does happen. At the end of a day an empty bike still has more options than a wheelchair user but I do see what you're trying to say. I agree. Thankfully shared bike/wheelchair spaces appear to be extremely rare, but wheelchairs should have priority. Personally I've never come across a shared space before, but everyone seems to think that every wheelchair space is a shared space! It'll take education. Too much like driving, entitlement culture among those who have a choice is ruining life for those who are obliged to use a particular form of transport or mobility aid to make their journey. Absolutely, there is a real theme of entitlement in the experiences I have. After a bit of practice and getting your courage up, imitate eyerolls and expressions. Sure, it foes against out training in politeness, but *she* is managing to do it, isn't she? If she gets upset and complains "That person in the wheelchair is staring at me!" all the better, let the fun begin. I didn't want to do this simply on the basis that I wanted to be the bigger and better person, nothing will change if the conversation is a two way hostility street, I have to be civil until people are willing to change.